Object-Oriented Analysis and Design (OOAD) is the principal industry-proven method for developing reliable, modular, testable programs and systems. This OOAD training course provides practical skills in the latest OO requirements gathering, analysis, design, and testing methods. Intensive hands-on exercises offer you a working knowledge that turns concepts into practice. Strudents will not just learn UML diagrams. They will learn how to apply UML in the context of OO software development. From requirements gathering to actually mapping the diagrams to code, concepts in this course are consistently illustrated using a single case study. This course emphasizes on applying different design patterns to solve common OO design issues. Knowing how to create properly designed object-oriented systems is what separates programmers from software architects. Anyone involved in developing systems on modern object-oriented platforms. Project teams benefit greatly by sharing the same methodology with co-developers or with supportive management. Familiarity with an Object-Oriented language is assumed. "The instructor is vocal about what he thinks about your work/or about the idea being presented (whether good or bad). His answers are insightful of what you can expect in real-world application." Software Developer, Fisher-Rosemount Systems Inc.
"(The instructor) answered all the student's questions with excellence. Very knowledgeable." 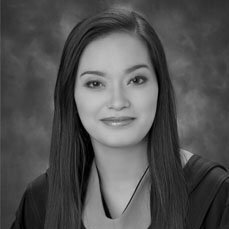 Quantity Surveyor, Makati Development Corp.
"The instructor is very good in terms of elaborating each chapter in the manual as well as giving example codes and scenarios. Very precise and direct to the point. The keys are already stated in the course content. What I like the most is we are able to give our own ideas to each chapter activities." "I like that the instructor further elaborates and provides examples of the topic based on real world experiences. The course not only provides theories of the topics but also real world experiences. The examples used are up to date. The course have helped me further understand design patterns and their appropriate time to use them. The course activities had helped me further remember and helped me to practice what we have learned." 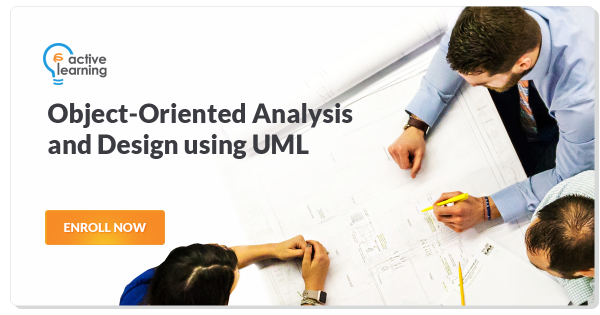 "This is a very good course not only to learn UML but also how to do actual applications of design patterns in the real world. I learn a lot in doing actual activities it gives me more confident on the course that we are learning." "The instructor's expertise and explanation of the topics in the course are superb. These new skill set will really improve how we analyze and design requirements in OO perspective. Course content is well organized that enable us, students to interrelate all the topics." "Course content is excellent, the case study makes the concepts much clearer to the audience." ROHM LSI Design Philippines Inc.